the person you are cheating off of is not guaranteed to have the right answers. If the moral angle didn’t get you, the idea of getting in trouble over an unknown chance at a correct answer was pretty compelling, even at age nine. 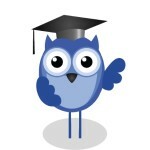 Recently, I enrolled in a marketing program for small businesses. The course instructor advised us to “keep our eyes on our own paper” in terms of what other small business owners are doing. Rather than spending time comparing, we should devote energy to building our own businesses, instead. Smart advice. Equally applicable hearing it later in life and in this context. And this got me thinking about law school, and how law students could benefit from a similar lesson. I graduated from law school in 2005. I went in knowing very little about the process, from law school itself to getting a job to working as an attorney. Within weeks of being in law school, I was flooded with information — some accurate, some not — from administrators and classmates and others. 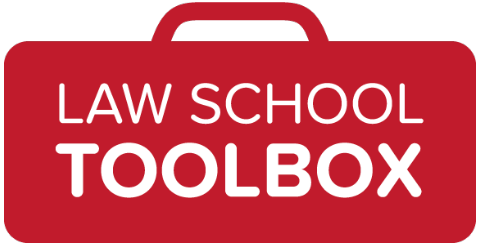 The information ranged from what law school would and would not teach us, to what law students must do in order to get jobs, to whether any of us would even be back after 1L year. I found that the barrage of information sharing in the early days of law school was mostly useless — the information was not meaningless, but it was nothing we could put into any form of action plan. For the most part, I recall feeling overwhelmed by it all and that was about it. As a law student, it’s easy to get caught up in what other people tell you. Rumor spreads quickly and it becomes a hard fact before it leaves the originator’s lips. As a first year, for the most part, the rumors surround best ways to outline and how to take exams. In some instances, these rumors can be helpful — working with others and collecting information about effective ways to study is a resourceful, attorney-like thing to do. If the source is good (a course tutor or 2L who did well on his or her exams, for example), use the information to your advantage. Where it gets detrimental is in the study comparison, and this is the first instance where “keeping your eyes on your own paper” in law school comes in to play. 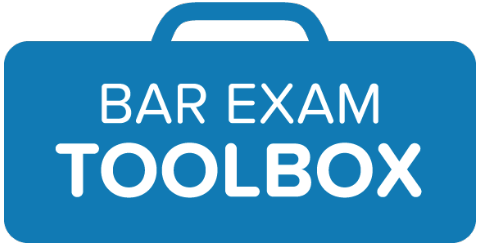 Your best course of action in law school is to decide, from the beginning, what type of study habits work best for you, and stick to those. Identify your goals, customize a study plan in furtherance of those goals, and get to it. There is no sense in taking inventory over who goes to the library and when, what other people are studying and for how long, etc. You have no idea about the varying levels of intellect, dedication, and other qualities and characteristics of your classmates. And frankly, no one particular study habit alone is a guarantee of success in law school. Studying efficiently, effectively, and in a sustainable manner over the course of the semester is the only way to guarantee success. And this is entirely personal. If your study habits are working for you, do not question or change them simply because others appear to be doing things differently. Keep your eyes on your own paper. You have no idea who is getting it wrong! After 1L year, the other way in which we as law students can keep our eyes on our own paper is by staying true to who we are in the job and interview process. It is easy to get caught up in what your classmates deem to be the “good” jobs, and to make decisions based on this alone. This is where not keeping your eyes on your own paper can be truly detrimental to your long-term well being. The process of getting a job out of law school is about finding a fulfilling career path. We know this going into law school, but tend to forget it coming out. If you went into law school to work as a public guardian or to open your own practice or do something outside of the law, don’t lose sight of this. Do not give in to the external pressures. Instead, chart your course, do your diligence, and figure out exactly what you will need to do to achieve your career goals. Remember, also, that the so-called “good jobs” — the “Big Law” jobs, specifically — are not for everyone. If working in a big law firm does not comport with your life vision, do not put any effort whatsoever into going after the big law firm jobs, no matter what the others are doing. The idea is to be happy, after all. As difficult as it is in the moment, make efforts not to be influenced by what your law school classmates are doing, both in law school and beyond. What is right for them could be entirely wrong for you. Keep your eyes on your own paper, know yourself, and you are going to be great. Desiree Moore is the President and founder of Greenhorn Legal, LLC. Greenhorn Legal offers intensive practical skills training programs for law students and new lawyers as they transition from law school into their legal practices. Ms. Moore is also an adjunct professor at Loyola University Chicago School of Law and was an associate at the law firm of K&L Gates. She can be found on Twitter at @greenhornlegal. Have questions for Desiree? Leave them in the comments. Or, check out her earlier Girl’s Guide interview, with great tips on starting off on the right foot in your legal career. Want more helpful info? Sign up for our weekly newsletter, and stay in touch! Image by laura00 via stock.xchng. Very true! Thanks for writing this.